Gallery of wildlife pictures - wild animals in their natural habitat. All creatures great and small from the Pacific Northwest and across the world. 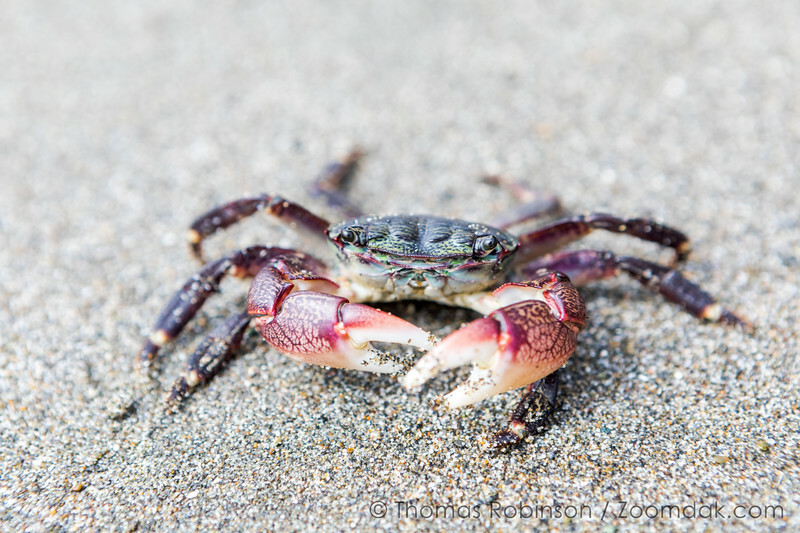 A young dungeness crab (Metacarcinus magister / Cancer magister) seems to smile for the camera on the sandy beach of Crook Point on the south Oregon Coast.